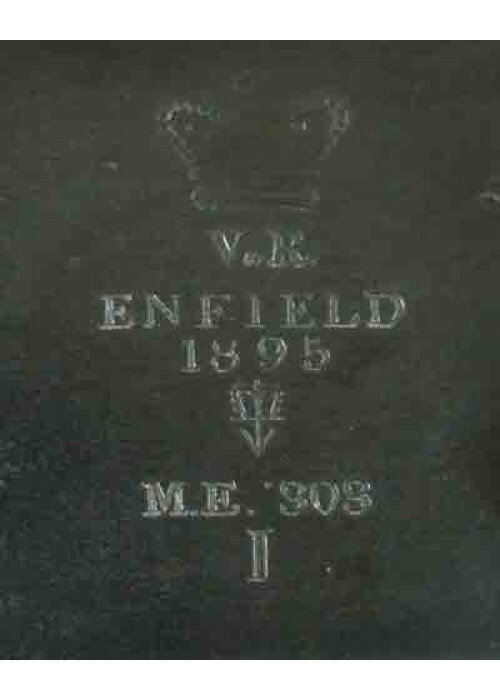 3rd Top: Manufacturers Mark Enfield; The Royal Small Arms Factory, Enfield, Middlesex. 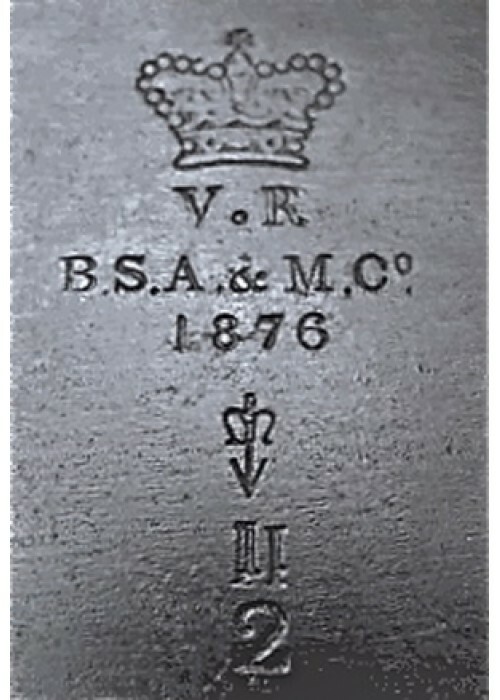 5th Top: Lock Viewers mark: denoting government view and acceptance. 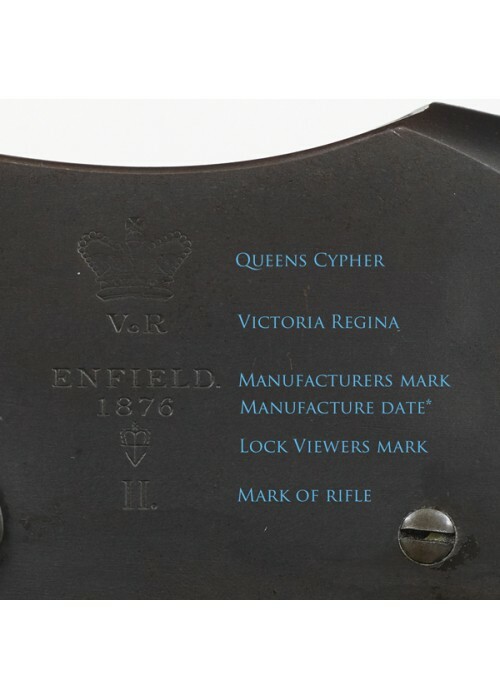 Bottom: Mark of Rifle; usually marked in Roman Numeral and directly central under the viewers mark, MkI rifles upgraded to MkII and Enfield Martini MkI, converted to Martini Henry MkIV will have the second numeral stamped alongside the primary numeral such as I.V. 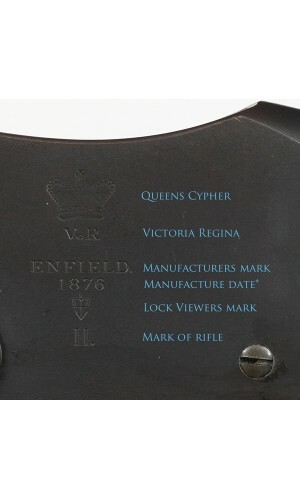 *For a true manufacture date, look under the barrel knocks form i.e 1/78. January 1878.